Valorado por los clientes después de alojarse en el Sea front studio with spacious balcony Santa Clara. Well where to start, on walking in the room we were greeted with an amazing view, our host Peter was amazing, he was very helpful and caring, he provided us with lots of useful information and the apartment and the area, the apartment and facilities were very good, on arrival Peter presented us with a lovely bottle of bubbly which was a lovely touch, it was a perfect holiday. Absolutely loved everything, location, apartment, view, everything. This will be our choice each time we visit now. Host was very friendly and helpful. Highly recommend. The view was magnificent. The studio apartment had everything I needed & more. Peter was waiting to meet me at the train station on arrival. He is such a lovely friendly guy. I am planning on staying here again in the not too distant future. Great host whom put himself out for our early arrival. Was contacted during our stay as a follow up to any issue. There were none. Will be aiming to return early next year and will be the first place i will try. Keep up the good service Ron. De gemaakte afspraken rond de sleutel en de aankomst waren perfect en stipt. Ik ben ontvangen door de eigenaar die alles zeer geduldig en zeer vriendelijk toonde. Er was eveneens een garage ter beschikking. Bij aankomst stond er zelfs een fles Cava voor me klaar. Prachtig uitzicht, heel de dag zon op het balkon, schone kamers en een inklapbare tweepersoonsbed (erg fijn) Bij aankomst kregen wij nog een heerlijke fles cava. Wij komen zeker nog een keer terug! Consigue un precio espectacular para el Sea front studio with spacious balcony Santa Clara. Las personas que se alojaron hace poco le han dado una puntuación de 9,6. El Sea front studio with spacious balcony se encuentra en el centro de Torremolinos, a 1,2 km de la calle San Miguel y a 2,1 km del Crocodile Park. El Santa Clara ofrece un alojamiento equipado con terraza y conexión WiFi gratuita. El apartamento, ubicado en un edificio que data de 1976, se encuentra a 2,4 km del Aqualand Torremolinos. El apartamento tiene 1 dormitorio y 1 baño con ducha. 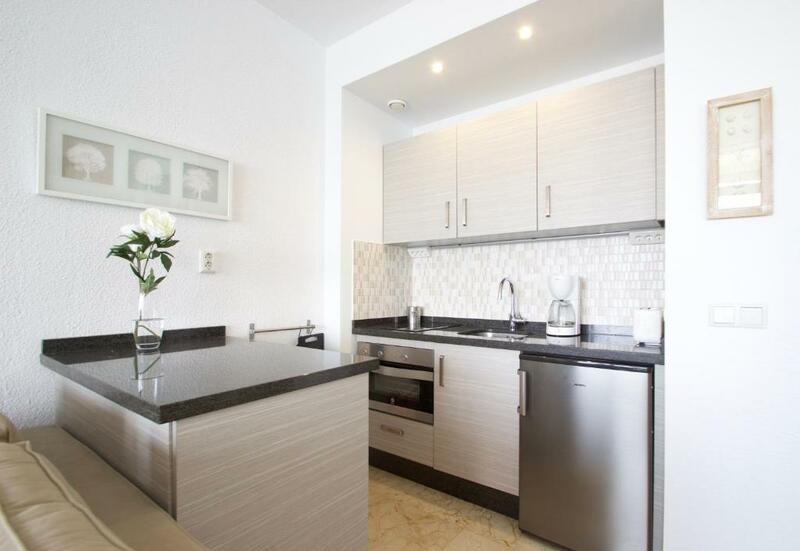 La zona de cocina está equipada con horno, microondas, cafetera y hervidor de agua. El apartamento cuenta con piscina exterior de temporada. También hay un jardín. El Skal International se encuentra a menos de 1 km del Sea front studio with spacious balcony Santa Clara, mientras que la Casa de los Navajas está a 15 minutos a pie. El aeropuerto más cercano es el de Málaga, ubicado a 9 km. Sea front studio with spacious balcony Santa Clara recibe clientes de Booking.com desde el 29 de jun de 2018. ¿Cuándo quieres alojarte en el Sea front studio with spacious balcony Santa Clara? 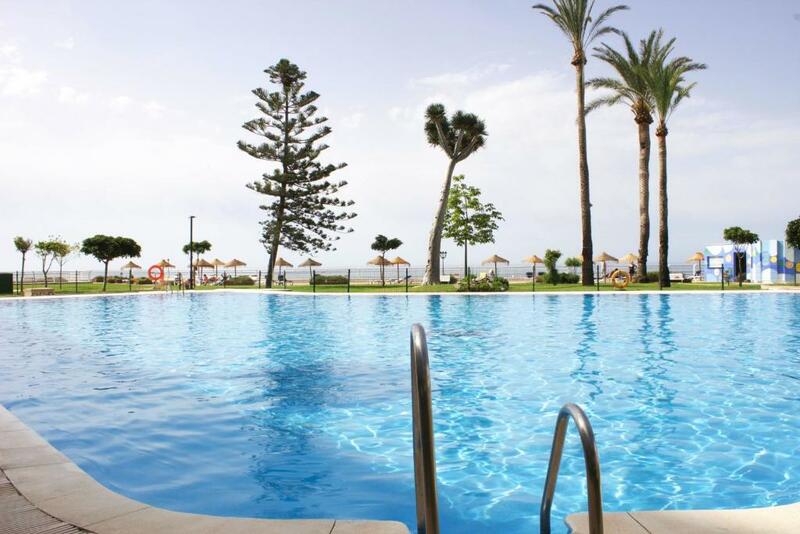 Santa Clara is built on one of the most popular spots in Torremolinos. 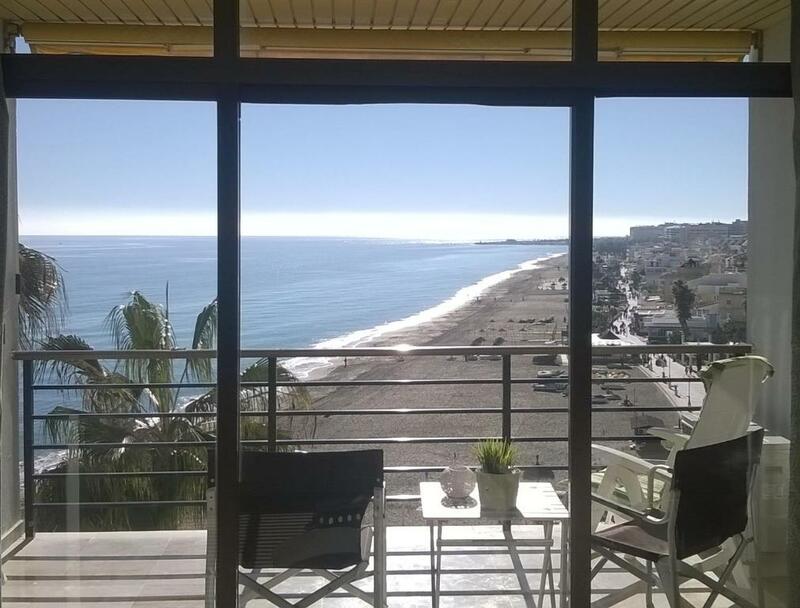 It has direct access to Carihuela Beach (lift) AND direct access to the top of the Cliff (lift) to Torremolinos City Center. The complex has many facilities, a swimming pool, restaurant (open Jun-Oct), 24 hours concierge, parking space (subject to availability). Our studio is a renovated studio (38 m2) with a comfortable bathroom with shower, a fully equipped kitchenette with oven, fridge and stove. The studio comes with a sofa cama that turns into a bed of 140-200, for your comfort it has a topper to make sure you rest very well. The views are breathtaking to the sea and to the fisher village Carihuela, it has a spacious balcony with table and chairs. Ron, (or Peter) our host will meet you at the apartment upon your arrival, after an efficient check-in he will give you a quick tour about the apartment and explain the houserules. After that there will be plenty of time to answer all the questions you might have. During your stay you can contact our host via whats app or telephone and he will respond to your request as soon as possible. When its time to leave our host will be there on the requested time to collect the key and wish you a safe trip home. 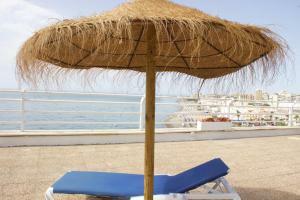 Léeme Sea front studio with spacious balcony Santa Clara acepta peticiones especiales. ¡Añádelas en el siguiente paso! La cama es un sofá cama antiguo, incómodo.